Fighting for the Bullys Pit Bull Rescue asked us to help with some of their recent rescue needs. Breya needed treatment for a urinary tract infection. Goblin’s spay site was infected. Phil had something wrong with his eye, and Briley had two lumps removed. All of these needs were more than we could cover, but every little bit helps. Payments can be made on their behalf to Monroe County Animal Hospital. Justice, Safira, and Tiny, all rescued by Fighting for the Bullys, have spay/neuter surgeries scheduled. We sponsored them all. Yay! Fighting for the Bullys has had some astounding rescues lately. They took in Mica, who had terrible ear polyps and needed ear surgery; Gerard, who has heartworms; and Eliana, who needs a full vet work-up. We applied $300 to Mica, $150 to Gerard, and $75 for Eliana. All these dogs deserve a fighting chance! Fighting for the Bullys rescue pulled 7 of 17 dogs in a hoarding case. HPAN is paying for several of the puppies to be altered, vaccinated, and chipped! Fighting for the Bullys Rescue pulled a litter of puppies from the Newport Animal Shelter. All of them needed treatment for demodex mange and ringworm. 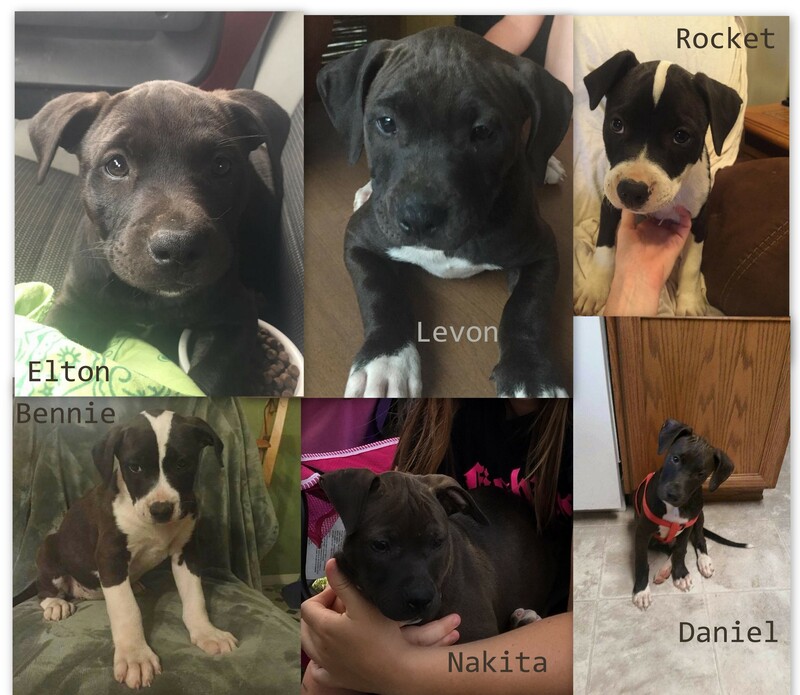 HPAN paid the vet fee of $416 to get these six beauties on the road to recovery! Zeuss was surrendered to the Oak Ridge Animal Shelter by a family who loved him very much, but could not take him when they had to move. The stress of the shelter made him sick, and he spent weeks in quarantine. Volunteers and shelter staff were losing hope for Zeuss, but he turned the corner, finally got well, and was released for adoption. It didn’t take long for a family to show interest in him, but when he turned up positive for heartworms, they realized they couldn’t take him and have him treated. Enter Fighting for the Bullys Pit Bull Rescue! 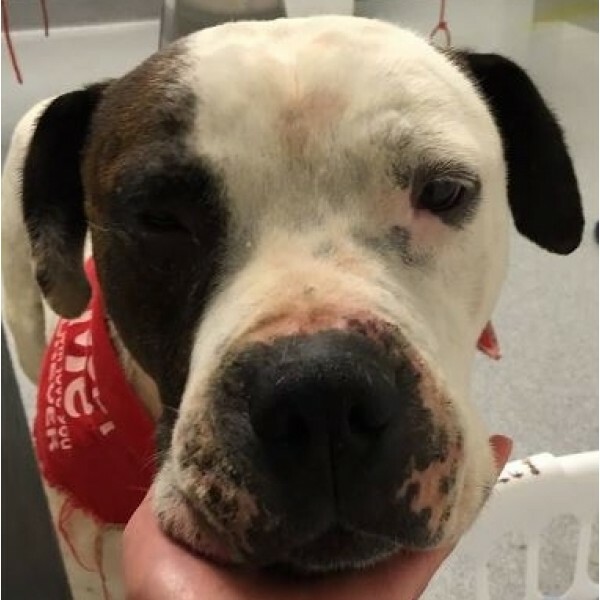 They pulled Zeuss into rescue so he could get the treatments he needs. We sponsored the $300 treatment cost.